National Ice Cream Day 2018 is this Sunday, July 15, and plenty of ice cream shops are embracing the big day by giving out free ice cream. While some of the country’s favorite ice cream shops like Ben & Jerry’s and Haagen-Dazs don’t have any National Ice Cream Day freebies this year, other big ice cream sellers — including Baskin-Robbins and Carvel — have great deals. Ice cream was the treat of choice for many on Sunday. It was National Ice Cream Day. Newswatch 16 stopped by Mountain Freeze in Mountain Top where people were filling up on the frozen dessert. It was an appropriately hot day for people to enjoy some ice cream. Customers with the Baskin-Robbins mobile app will get access to a few special offers for National Ice Cream Day 2018, including buy-one-get-one-free cones, $2 off medium milk shakes, and a $.99 sundae when you buy one at regular price. For National Ice Cream Day 2018, Carvel will give you a free cup or cone of soft-serve ice cream in any size when you buy one at regular price. For National Ice Cream Day 2018 on Sunday, all Whole Foods stores offer a special deal: two pints of Ben & Jerry’s or Talenti ice cream for $6. Amazon Prime members get an extra 10% off. And Prime members who spend $10 or more at Whole Foods can get a free $10 credit to use at Amazon during Amazon Prime Day 2018 sales, which kick off at 3 p.m. on Monday, July 16, and stretch out over 36 hours. From 1 p.m. to 6 p.m. on National Ice Cream Day 2018, customers at Yogurtland locations around the country can get a free order of ice cream when they purchase one at regular price. The flavors included with the buy-one, get-one-free deal are: chocolate, vanilla, chocolate malt ball with Whoppers, butter pecan, and Oreo Cookies and Crème. Mark your calendar and SAVE THE DATE for our National Ice Cream Day event on July 15th from 1-6PM! Dippin’ Dots stores around the country are giving free mini cups of Dippin’ Dots to customers on Sunday for National Ice Cream Day. Exact times for the giveaways vary by location, but a spokesperson says many stores will offer free ice cream in roughly two-hour windows around noon. All PetSmart stores with PetHotel facilities are giving away dog-safe ice cream for free on Sunday for National Ice Cream Day 2018. The deal for National Ice Cream Day 2018 at Your Pie is free gelato for all customers, no purchase required. The freebie is available at 50+ participating Your Pie locations around the country on Sunday, July 15. Customers get free ice cream cups on Sunday while supplies last at Monkey Joe’s, an indoor play center for kids. From 8 a.m. until closing on Sunday, text the word SCOOPS to 64827 and you’ll get an offer for $1 off any pint of Cumberland Farms Ultimate Scoops Ice Cream. For National Ice Cream Day 2018, 16 Handles customers who have downloaded the 16 Handles rewards app get their first three ounces of frozen yogurt and toppings for free. Ice cream dates back thousands of years. It’s long been beloved by Americans and people around the world. Modern statistics show just how much people adore the dessert today. In celebration of National Ice Cream Day, here’s a look at eight things you probably didn’t know about the creamy summertime favorite. 1. Ice cream is older than you think. Ice cream dates back to ancient times. Alexander the Great reportedly enjoyed snow and ice flavored with nectar and honey, while the Roman emperor Nero Claudius Caesar sent runners into the mountains for snow, which was flavored with juice. In the 1300s, Marco Polo brought an early version of ice cream — resembling a modern-day sherbet — back to Europe after his global travels. By the late 1700s, American high society enjoyed ice cream as a delicacy. And in 1776, America’s first ice cream parlor opened in New York. 2. 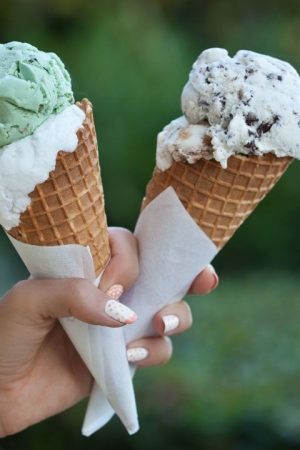 Even ice cream cones are more than a century old. Concessions vendors invented ice cream cones at the 1904 World’s Fair in St. Louis, Missouri, according to Ben and Jerry’s. They were designed to help people eat ice cream easily while enjoying the fair’s attractions. The “sundae” dates back to the 1890s. Ice cream merchants introduced a non-carbonated version of ice cream soda to serve on Sundays in response to criticism of the rich ice cream soda as too sinful for the Sabbath. 3. There’s a considerable amount of science behind ice cream. Ice cream contains microscopic air bubbles that keep it nice and fluffy. When it melts, the air bubbles collapse. So, if you refreeze melted ice cream, it’ll be less soft. There’s science behind brain freeze, too. When a cold substance touches the roof of the mouth, the blood vessels running between the mouth and the brain tense up, trapping blood in the brain. That extra pressure causes mild pain. 4. 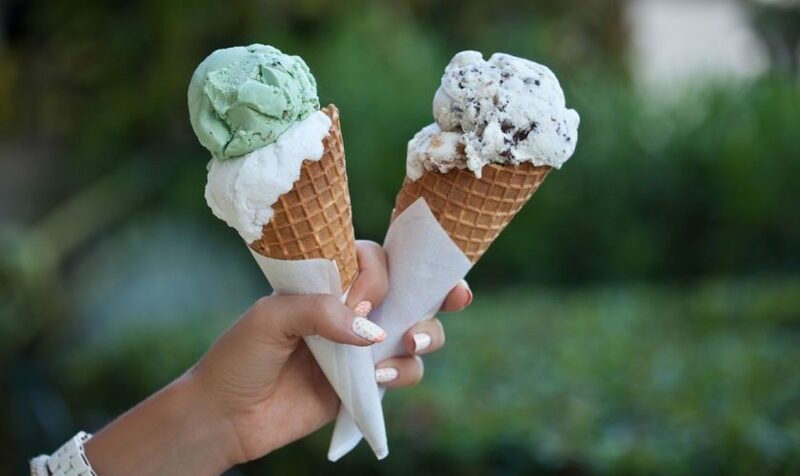 Ice cream is adored around the world. New Zealand consumes the most ice cream of any country, measured by the gallons per person per year, according to icecream.com. The United States is second, followed by Australia, Finland and Sweden. The world’s tallest ice cream cone — a whopping 10 feet tall — was scooped in Norway. 5. But Americans really, really, love ice cream. Eighty-seven percent of Americans have ice cream in their freezer at any given time, and the average American consumes 48 pints of ice cream per year. The state that produces the most ice cream? California. 6. American presidential history and ice cream are closely intertwined. Thomas Jefferson, while not responsible for introducing ice cream to the United States, did help popularize it. He’s credited with the first known recipe recorded by an American, and there are six references to ice cream being served at the President’s House during the Jefferson administration. In 1813, Dolley Madison served a famous strawberry ice cream dish at her husband’s second inaugural banquet. 7. Cows play a crucial role in bringing you that perfect sundae. A cow provides enough milk to make two gallons of ice cream per day — or 730 gallons per year. In fact, about 9 percent of milk produced in the U.S. is used to make ice cream. 8. Statistics suggest that ice cream doesn’t bring out our best manners. One in 10 people admit to licking the bowl after they finish a helping of ice cream. One in five say they share it with their pets. It takes about 50 licks to finish a cone of ice cream. Are you feeling a little sluggish today? Do you have the feeling that an intense sugar rush is just the thing you need? While the logic is debatable, the impulse is not. You can satisfy that urge for free because Wednesday, July 11, is 7-Eleven Day (7/11? Get it? Eh?). 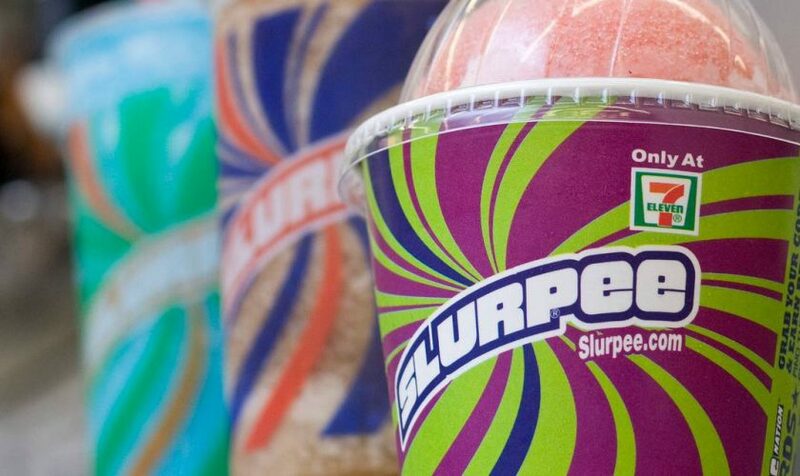 As it does every year, 7-Eleven is giving out free Slurpees at every US location. An ice-cold Slurpee from 7-Eleven is a great way to cool down on a hot day in Sacramento, especially when that Slurpee is free. 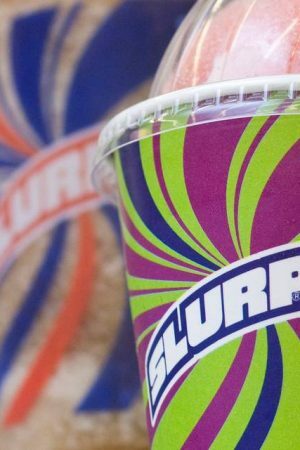 To mark its 91st birthday, the chain is giving away small Slurpees Wednesday, July 11 from 11 a.m. to 7 p.m. This includes the featured Cap’n Crunch’s Crunch Berries limited-time flavor. 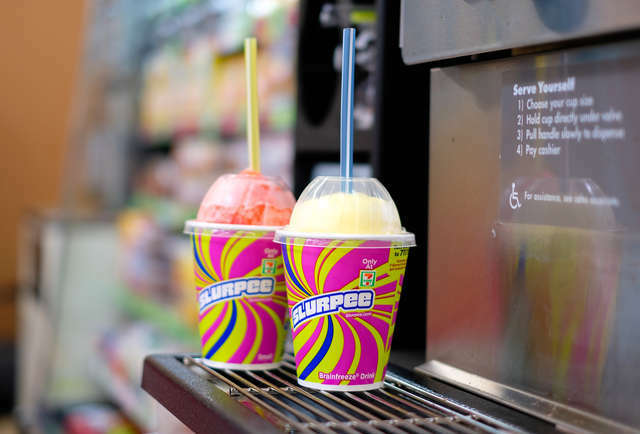 7-Eleven launched the Slurpee, named after the sound it makes when traveling through a straw, 52 years ago in 1966 and has celebrated its birthday with free Slurpees on 7/11 since 2002, according to the release. For its 91st anniversary, the convenience store will let you drop in and pick up a free small Slurpee from 11am to 7pm (local time). Even better, the new flavor available on 7-Eleven Day is a ridiculous breakfast throwback. The featured flavor is Cap’n Crunch’s Crunch Berries, which is only available for a limited time. You can try it for free, and it won’t even cut the roof of your mouth. If you’re hungry, you can pair your free Slurpee with $1 Big Bite hot dogs, according to a press release. Then, 7-Eleven will celebrate inching one year closer to its centennial with freebies for all of its 7Rewards members all week long. “Members” makes it sound more complicated than it is. Download the store’s free mobile app via the App Store or Google Play, and you’ve just become a member. July 12: Free 7-Select Pure Water with the purchase of any Bodyarmor sports drink. July 13: Free Big Gulp with the purchase of a share-size Snickers. July 14: Free popcorn with the purchase of a 20-ounce Smartwater. July 15: Free Reese’s with the purchase of a share-size bag of 7-Select gummies. July 16: Free 20-ounce Coke with the purchase of any package of Cheez-Its. A lot of the deals seem like a perfect stop on your way to the movie theater. Impress your date with your ability to sneak in an entire bag of popcorn. Everyone will be in awe. Probably. From Alaska to Hawaii and beyond, there’s no shortage of fast food restaurants. But residents of a certain state have more options per capita than the other 49. Alabama, the home of the Crimson Tide, comes in at No. 1 with 6.3 restaurants per 10,000 residents, according to a recent report from web data company Datafiniti. If there are three things that Alabamians take pride in most, it is their faith, their family, and their food. Not all food, however, is prepared at home. 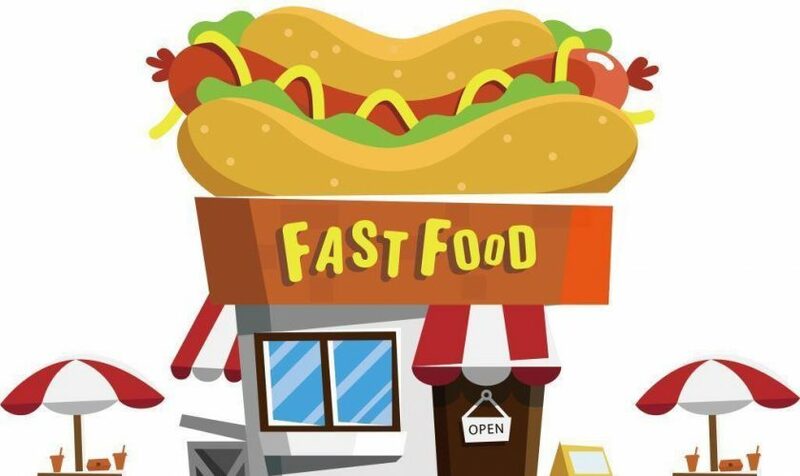 In a shocking study from DataFiniti, it was revealed that Alabama is the state with the most fast food restaurants per capita. Nebraska comes in second, with 5.4 restaurants per 10,000 residents, closely followed by West Virginia and Oklahoma at 5.3 locations per 10,000 people. The only non-Southern states in the top ten are Nebraska, Indiana, and Missouri — although Missouri may be have been adopted into the South when the University of Missouri joined NCAA Football’s Southeastern Conference in 2012. 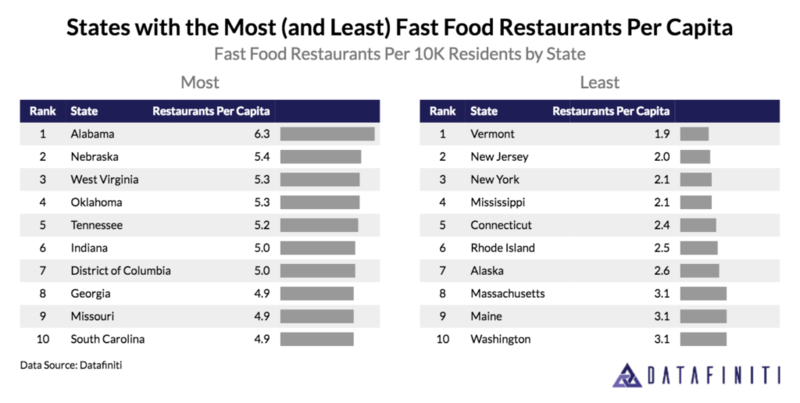 But you won’t be so spoiled for choice in Vermont, which took the last spot on the list, with just 1.9 fast food restaurants per 10,000 people. New Jersey is second-to-the-last with 2.0 locations per 10,000 residents, and then New York and Mississippi at 2.1 locations per 10,000 people. The report also broke things down by major cities, and to no surprise, prominent tourist destinations were well-represented. Theme-park haven Orlando tops the city list, with gamblers’ paradise Las Vegas in third. (Cincinnati, not quite as much of a tourist draw, is second.) The Big Apple, New York City, has the smallest number of fast-food stops per person. And just which restaurants are everywhere? Two chains dominate the list, with Subway owning 18.5% of the data set, and McDonald’s at 11.3% (Burger King is No. 3, but distant, as just 5.7% of the fast-food locations are home to the Whopper.) And if the Golden Arches of McDonald’s are your preference, Orlando is a good place to eat, as that city has 20.9 McD’s per 100,000 residents (not 10,000 as in the other stats). 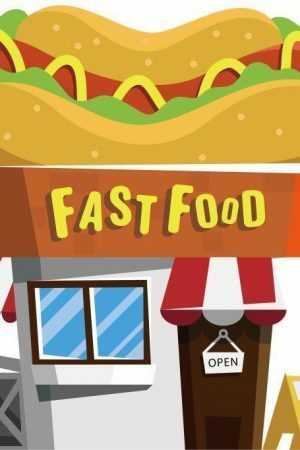 While you’re waiting for those famous fries, peruse these 25 things you didn’t know about your favorite fast-food chains. Also detailed in the research were states with the least amount of fast food restaurants per capita. Vermont took first place in that category with only 1.9 restaurants per 10,000 residents. Surprisingly, Mississippi followed closely in fourth place with only 2.1 restaurants per 10,000 residents. IHOP, which as of late changed its famous name to IHOb, has uncovered what the new consonant stands for. IHOP said on Monday that this is on account of the B remains for burgers. IHOP, obviously, remains for International House of Pancakes. It’s adding a few burgers to its menu, including a Big Brunch burger with bacon, a seared egg and sautéed potato to finish everything. The name change goes with a line of new burgers at the chain. Which is known for breakfast dishes like rainbow sprinkle-filled “cupcake pancakes” and exemplary buttermilk hotcakes. The chain is moving its accentuation to seven new “steak burgers,” which incorporate a cowpoke burger with onion rings and bacon and a “mega monster,” which is IHOb’s solution to McDonald’s Big Mac. An IHOP in Hollywood is getting new IHOb signs, and some others may get the treatment. The new IHOb Twitter account even retweeted photographs and video of a development team setting up the new sign in LA. However, Rebelez said most by far of the almost 1,800 different areas will at present pass by IHOP. All in all, to utilize another B-word, will there be a backfire? A few people effectively anticipated it would remain for burgers. Yet numerous others on Twitter and Facebook figured the B would remain for breakfast or bacon. Regardless of whether the IHOb name is just a transient advertising trick. There’s a financial motivation behind why the flapjack chain is flipping over on its image character: Pancakes aren’t offering like hotcakes. IHOP’s same-eatery deals – or deals at areas open no less than multi year – declined 1.9 percent in its latest monetary year. “Everyone knows that IHOP makes world-famous pancakes, so we felt like the best way to convince them that we are as serious about our new line of Ultimate Steakburgers as we are about our pancakes was to change our name to IHOb,” said Brad Haley, head advertising officer for IHOb eateries, said in an announcement. 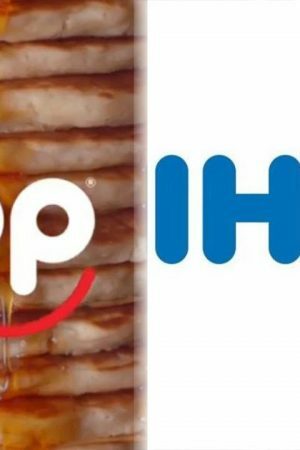 IHOP is by all accounts supporting its wagers by saying the IHOb name is “for the time being,” recommending the exertion might be to a greater extent a showcasing ploy instead of a genuine rebranding effort. Others had a ton of fun, guessing that the B remained for bitcoin or break moving. Chiquita even got in on the demonstration, saying that the B should remain for bananas. Others noticed that the Ob in the IHOb logo looked amazingly like the O.B. brand of tampons. Rebelez isn’t stressed that individuals will be baffled. He said a few people were disturbed that IHOP would considerably consider tinkering with the name. Be that as it may, most fans made sense of it was only an approach to get individuals talking. “The vast majority of people were having fun with the name change and were trying to solve the riddle. 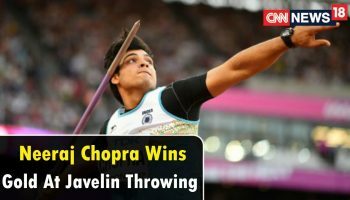 They had fun for a week trying to figure it out,” Rebelez said. America adores burgers, and IHOP needs to be a greater player at lunch and supper. Enthusiasts of the chain, referred to formally as Dine Equity and which additionally claims Applebee’s, seem unmoved with the new name. 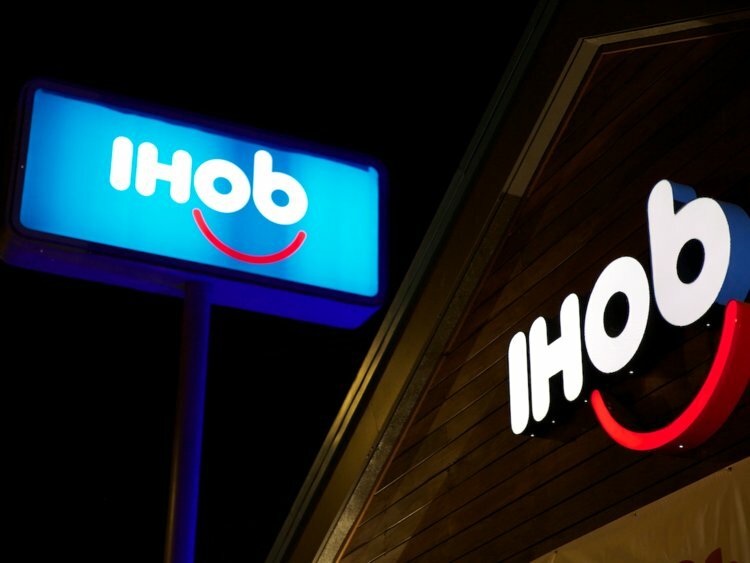 The organization unveiled the new IHOb personality a week ago, despite the fact that it didn’t state what the “b” spoke to. “@IHOb so are you still going to have pancakes and breakfast??? Or are you like a lunch place with just burgers? 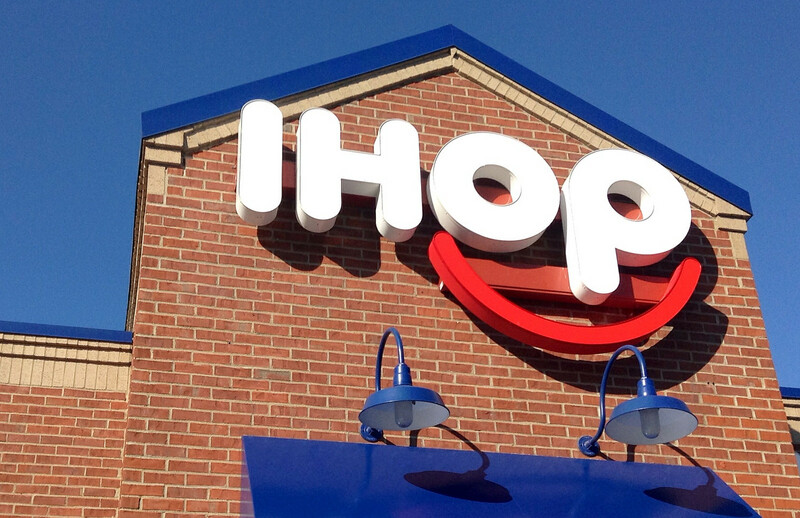 I’m so lost… #IHOP,” one purchaser composed via web-based networking media. When I asked Rebelez whether IHOP was thinking about sustenance combination menu things — recall Burger King’s Whopperito or Taco Bell’s Nacho Fries? — he clowned that cafes could arrange a side of hotcakes and make their own flapjack burger. All things considered, it merits asking why IHOP is experiencing this inconvenience. Why upset something to be thankful for? IHOP owner Dine Brands (DIN) is likewise the parent organization of Applebee’s. Is Rebelez stressed that he’s contending all the more straightforwardly with his corporate kin? Not by any means. Rebelez said IHOP will remain family-engaged. While Applebee’s will even now be a place to run with companions to get a lager and watch a diversion. Others called the name change “bizarre” and “a nightmare.” Still, IHOb’s greater objective seems to have been accomplished: To get buyers discussing the brand. 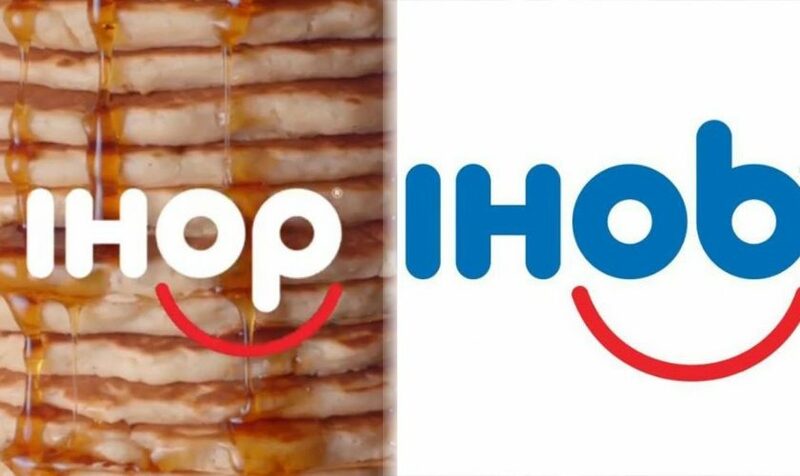 This IHOP/IHOB thing is pretty brilliant… how many companies can get the entire internet talking about them based on a marketing campaign where they pretend to change their name? And how many people knew before today that they even served burgers? “This IHOP/IHOB thing is pretty brilliant… how many companies can get the entire internet talking about them based on a marketing campaign where they pretend to change their name? And how many people knew before today that they even served burgers?” kept in touch with one Twitter client.